Jigsaw puzzles are fun, and this one consists of beautiful transparent pieces spotlighting our favorite feline familiar from Studio Ghibli's Kiki's Delivery Service. 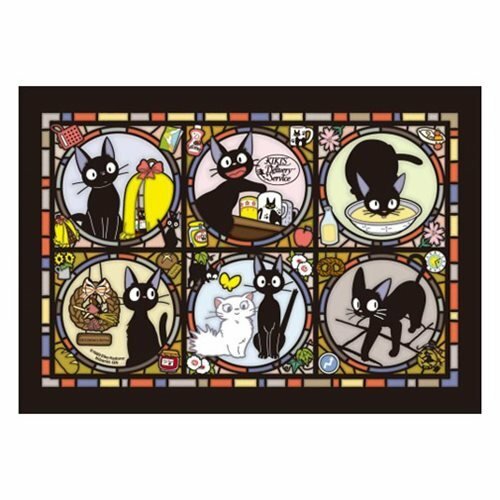 The sturdy pieces in the Kiki's Delivery Service Jiji Art Crystal Jigsaw Puzzle make it easy to put them together. You can decorate your window with the completed puzzle and enjoy the stained glass look! Approximately 7-inches tall x 10-inches wide when complete. Ages 15 and up.